We have carved niche in the industry by offering an exclusive array of House Wires. We use quality-proven raw material and contemporary machinery in manufacturing our offered wires. The offered range is widely usable in domestic and commercial areas for meeting various applications. Our offered range has gained exceptional value in the market for its associated features. The entire range can be availed in various specifications at reasonable prices. 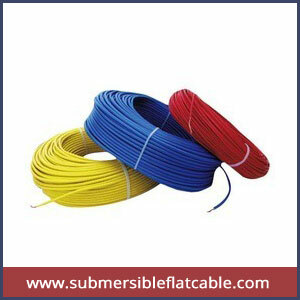 FR House Wire Cables are equipped with triple layered PVC protection that is in compliance with the widely accepted ISI standards. Our Cosmo Electricals cables provide every home with the three times more safety. These high quality cables with on line annealing prevent breaking of the copper strands when bent twisted.